Le meilleur remède pour votre excès d'énergie!Fidget Hand Spinnervous aide à vous détendre et à soulager le stress avec quelquestours simples.Arrêtez de mordre les ongles, de plumer les doigts oude dépenser des centaines de dollars sur les jouets coûteux.Ici,vous pouvez essayer différents filtres gratuitement et tournez-lesaussi longtemps que vous le souhaitez!Davantage de filières serontajoutées afin de rester à l'écoute des mises à jour à venir! Working all day in a boring meeting? Listening to long lecture?Bored to where you have to do something or you will have a fit?Then download the best fidget spinner app and spin a fidget spinnerto turn that fidgetiness into happiness, satisfaction, and fun!Justlike the real fidget spinner fad that everyone loves, but better!It makes no noise, so angry teachers won't be angry anymore!Use 6different spinners ranging from different colors to differentshapes and bearings!Don't have a real fidget spinner? Or do haveone? Either way you can spin the fidget spinner today virtually onyour device!Also use the fidget spinner on your android watch! Useit at any moment! Android wear 1.0 and 2.0 compatible! Spin at anymoment wherever you are!Spin the spinner fast, slow, or flick itfast.Cool marquee background that moves as if the spinner is beingthrown.Download now!! Don't wait to download it because the pricecould change! fidget spinners Lock Screen is New Free application to lock yourandroid screen with cool fidget spinners wallpaper and use Animekeyboard to protect your phone wid pin code, create widget homescreen for easy settings.fidget spinners Lock Screen is the bestapp to lock your android screen with Cool hand spinner, If you areone of fidget spinners lovers this application for you, every timeyou open your phone you will see a beautiful hand spinnerswallpapers and in the same time you save your privacy with thislock screen app, fidget spinners Lock Screen HD allow you to set apasscode to protect your files, or you can just using anime slideto unlock. but the best way is to use passcode becouse when you usepassecode the app use also anime slide and that make your phoneCool, it is free application and amazing don't miss it !fidgetspinners Screen :- Anime slide to unlock.- Set passcode to protectyour privacy.- Cool themes.- Free application.- hand spinnerswallpapers.- Easy to use.What is Hand Spinner? It's a cool toythat's just twisted in your hands. Its functional is very small,but the pleasure it gives is unlimited. A hand spinner can betwisted in your hand, twist in your pocket, in the subway, intraffic, in class, in line ... Hand spinner will be the way to anyboring or vice versa, an exciting situation. Hand spinner is a toyfor kinesthetics. If you like something to twirl in your hands andto mat as fidget spinners , hand spinner you just come in handy.Howto use fidget spinners Lock Screen :If you want to active this freeapp just choose "enable" the anime lock screen slide will beactive, and choose "Activate passcode" to set code pin to yourphone, done. Tattoos Editor is the creative way to make a cool tattoos on photoof you. It is the best way to show your body with tattoospatterns.Tattoos my photo with my name app is the best tattoosdesign app 2017. This tattoos maker of name allows you to createawesome tattoo my photo. With latest 500+ attractive design tattoosstickers and 100+ tattoos fonts, you can make your tattoo photowithout pain or skin infection.Tattoo my photo with my name is atattoo design software which is helpful to create your tattoo photowith no effort. Simply select well categorized tattoo designs toplace it on your photo and set it at the perfect place. Also youcan write tattoo name on your image with typing any name in specialtattoo fonts. Created tattoo image using this app will look likecompletely original tattoo on your picture and you can save yourtattoo photo. Then you can show it off on social media by sharingon whatsapp, use it as your tattoo profile picture on facebook andmany more ways as you already know :). Thank you for good ratingsand have much fun using Tattoos Photo Editor.Enjoy it !! Write on pictures is best app for add caption to photo.Thisphotocaption maker is the best way to create a message with stylishtexton pic and Share it with friends and family.Write on picturesisnot just a normal app, it is also an app to add caption tophotoand write text over photo.This Awesome photo caption makerallowsus to add caption to photo and app to write text onpictures.Writeon pictures let your pic get attractive shaders, coolfonts, stylesand app to write text on pictures without any wastageoftime.Features of photo caption maker :• shaders to stylish textonpic• wide variety of shaders and fonts available• superfingergestures• texts with Various Fonts• text of any font,color,sizes.• colors to enhance your quality• adjust text withfingergestures• huge collection of colors This Write on pictures isoneof the best app by which you can add caption to photo, writetextover photo, with awesome feature and app to write textonpictures.This Write on pictures has a very nice lookingfeatureswith which you can write text over photo with this photocaptionmaker.You can do awesome things and show to yourfriends.This appis one of the best photo caption maker for addcaption tophoto.Write text over photo with amazing nice lookingsaying picfor your awesome coolness.By using this you can dostylish text onpic and make your photo looks topnotch.This is oneof the best appto write text on pictures.Just give a one try to ourapp and shareyour life. Image miroir Selfie Camera Photo Editor a la meilleure photod'imagemiroir avec des autocollants de mouvement face live. Prenezuneselfie douce avec une caméra visage drôle d'image miroirpourchanger de visages. Les effets d'image miroir vous permettentdecréer des visages drôles avec des filtres et autocollants selfieetdes effets de caméra drôles. Life Awesome is Application that focused on delivering thebestfunny videos; entertaining fails videos, try not to laugh, andmuchmore. We hope that these funny Vine videos will make your day.Notto mention, the adorable yet super funny animal videos willwarmyour heart. Don't forget like, comment and share the bestfunnyfails compilation & best funny vines videos for yourfamily andfriends. Love all. The best cure for your excess energy!Fidget Hand Spinner helps yourelax and relieve stress with just a few simple spins. Stopnail-biting, pen-twirling or spending hundreds of dollars onexpensive spinner toys.Here, you can try different spinners forfree and spin them for as long as you want!More spinners will beadded so stay tuned for upcoming updates! We all know that Fidget Spinner was created to destroy the stressand kill the time.It’s almost the best toy for you to releasestress.Draw Finger Spinner is the newest playing way!Draw anythingwhat you want, and then use your finger to spin it!Using yourcreativity, drawing a glow finger spinner for yourself now!GamePlay:1.Choose the axis styles of finger spinner.2.Using the glowcolors to draw anything what you want.3.One finger to spin it!Thefree APP for you release stress. It’s almost the best toy foryou.Not only release stress, but also drawing practice!What are youwaiting for? DOWNLOAD NOW! Fidget spinner simulator is perfect simulation game. Fidget spinnermakes you relax! Just spin it and watch awesome finger spinneranimations. Spin the hand spinner everywhere like in school, inline, on the street, at home and have fun. Fidget spinner is a coolstress toy that is twisted in your hands. Fidget spinner is alsoknows as finger spinner and hand spinner. Wheel the fidget spinnerand get stress out.“Fidget spinner” tips and features:Spin it withyour friends and compare your best scores.Swipe your finger as hardas you can to get high score with amazing spinners.27 cool fidgetspinners.Swipe up, swipe down, swipe right and swipe left your handin every direction to spin fidget hand spinner.Fidget hand spinnerremoves your stress. Spin fidget spinner now! Are you bored at work or maybe just got some spare time? 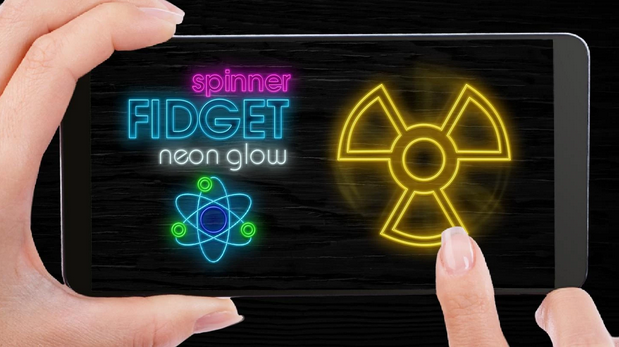 SuperFidget Spinner is designed with the intent to relieve stress, butit is also great for having fun and not to forget killingtime.Fidget spinners are claimed having a positive impact onindividuals with ADHD, autism, or anxiety.Super Fidget Hand Spinneris the only fidget spinner app in the universe that offers both aMoon and a Double Spinner. It is also the only spinner app with a 2player mode, Spinner VS Spinner. 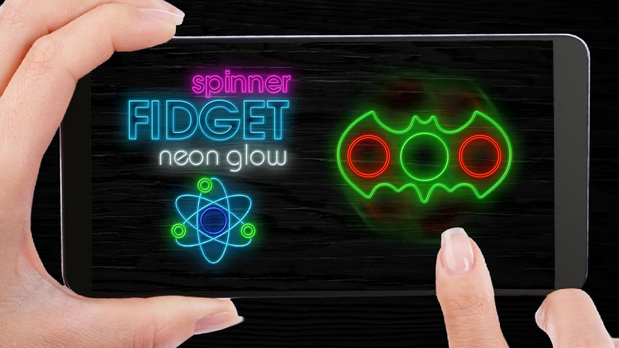 So enjoy!Features:• Unlock thebest fidget spinners• 2 player mode, Spinner VS Spinner.• Unlockbackgrounds• Screen motion 3d effect • Relaxing sound effects •Precise spinning system • Challenge your friends on the leaderboardFollow us:@developerlycanVisit:lycangames.noBut most of allremember to have fun! A Fidget Spinner is a type of stress relieving toy game.Try to earna high score in this crazy addictive fidget spinner games! 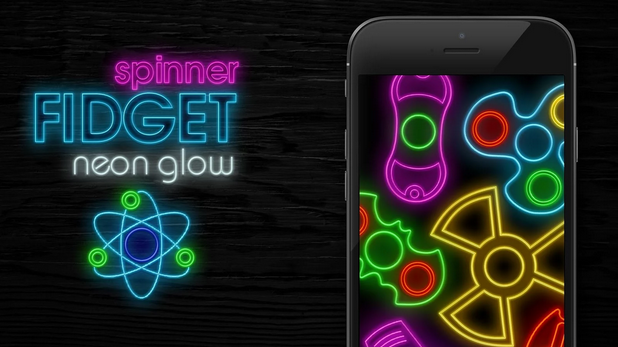 Spin thetoy as many times as you can, earn coins and buy upgrades!Use yourfinger to play with this ultra Fidget Spinner App Simulator andspin as much as you want in Fidget Spinner games!Don’t miss thebest interesting Fidget Spinner game APP! DOWNLOAD NOW !